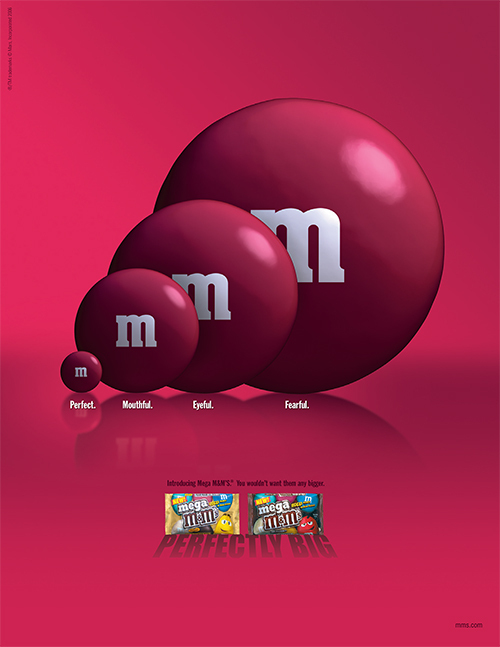 MARS Inc. sought to expand their M&Ms candies line to include a "mega size" product. 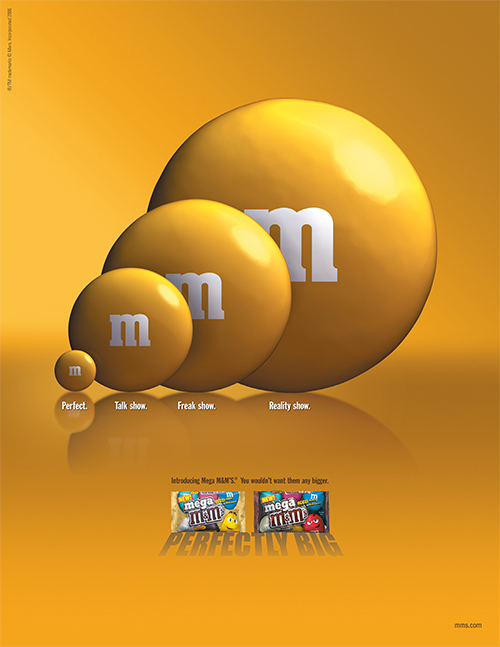 Geared towards young adults, we were tasked with launching Mega M&Ms as a separate entity and without the use of their famous CGI characters. Small problem though — how does one go about advertising a spin-off product called "MEGA," when said product is only 3 mm larger than the iconic original? Tasked with utilizing the M&M's characters for a partnership with LucasFilm and the release of the Star Wars prequels, we created a Times Square Billboard Spectacular to help launch the new Dark Chocolate M&M's. "Dare to go to the dark side."